During our last day in Los Angeles, we made a trip to Universal Studios. 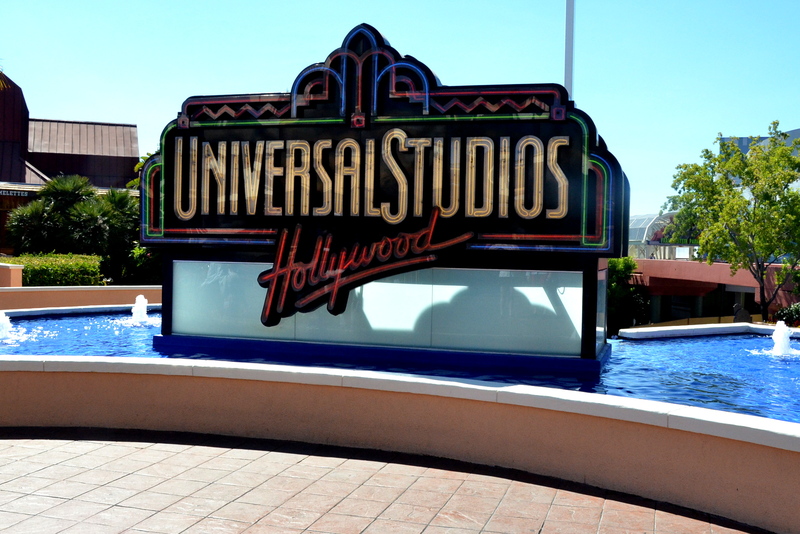 Universal Studios is a must-see destination for anyone who loves TV, movies, or has any interest in the film industry. It’s a theme park with rides and entertainment, but also, it’s a fully working studio where many TV shows and movies are still filmed today! Our first stop was to take the famous Studio Tour. The studio tour takes guests on a ride to see where many popular films are made. Along the way, the tour guide will point out many props used in famous films that are on display. You can even see some famous cars from movies such as Back To The Future, The Fast and The Furious, and Transformers. Many tourists take this tour to have the chance to see many well-known movie sets that are still intact. For example, the tour drives you through the neighborhood used in Desperate Housewives, past Bates Motel, and even through a huge plane wreck used in the movie War of the Worlds with Tom Cruise. In the middle of the tour you get to experience the King Kong 360 3-D ride, which is the world’s largest 3-D experience! After the Studio Tour, we had plenty of time to explore the rest of the park, ride the attractions, and take pictures with our favorite characters. Some popular rides include The Mummy, Jurassic Park, and the new Transformers ride. There are also plenty of stores in which you can purchase souvenirs, clothes, and movie memorabilia. If you find that you have some extra time after going through what you want to see at the park, you can head to Universal CityWalk to shop or eat! This promenade is known for its, dining, shopping, and entertainment. This entry was tagged Fast and The Furious, Lassen Tours, los angeles, Transformers: The Ride, Universal Studios. Bookmark the permalink.